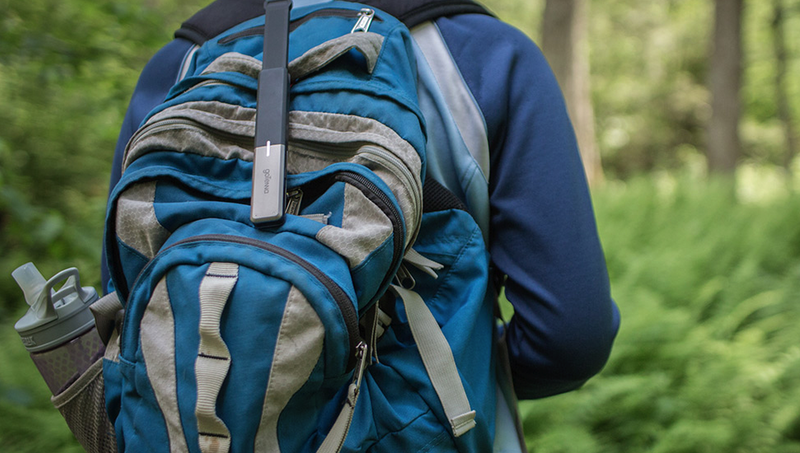 goTenna enables you to communicate without any need for central connectivity whatsoever—no cell towers, no wifi, no satellites—so when you're off-grid you can remain connected. In fact, goTenna will even work if your smartphone is in “Airplane Mode”! How does this magic work? Pair your smartphone to your goTenna device wirelessly, using Bluetooth-LE. Your goTenna needs to be within 20 feet of your phone, so that the two can communicate with each other. Use our free app to type out a text message or share a location. Your smartphone will send the message to your goTenna, which will then shoot it out, via long-range radio waves (151-154 MHz), to the intended goTenna(s). At the other end, the exact same thing happens, in reverse: the recipient goTenna sends your message over Bluetooth-LE to the smartphone app it's paired with. All of this happens in a matter of milliseconds. You should know that elevating the goTenna increases its range drastically. Another way to improve your range is to attach it externally to other gear (e.g. a backpack), as opposed to having it at the bottom of a bag. If you liked the device you will probably like the deal they have right now as early supporters get 50% for a limited time. Can you locate Gotham city on the map?